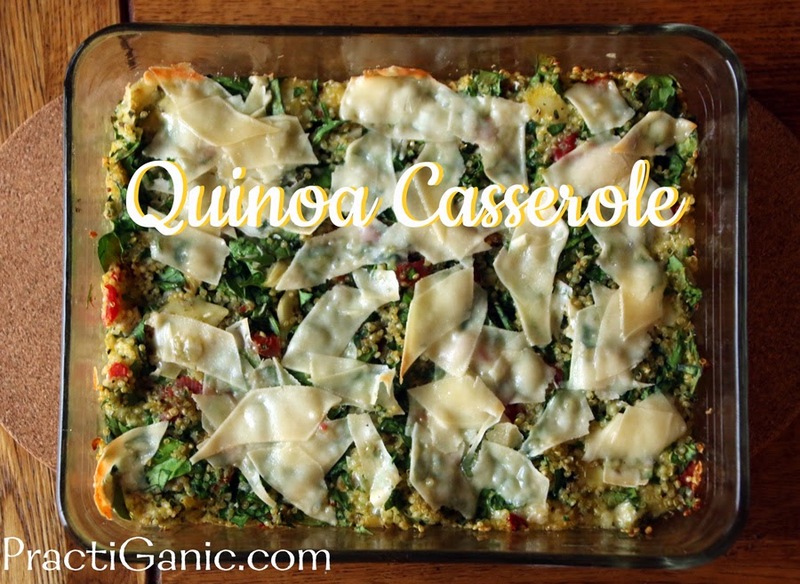 If you're looking for a quick dish to make and one that you can make ahead of time, look no further ... Quinoa Casserole is your answer! When I don't have that much time to make dinner but I still want some home cooking I always turn to this recipe. Many times, there will be some extra vegetables added in or different cheeses mixed in based on what's in the fridge and it always works out. 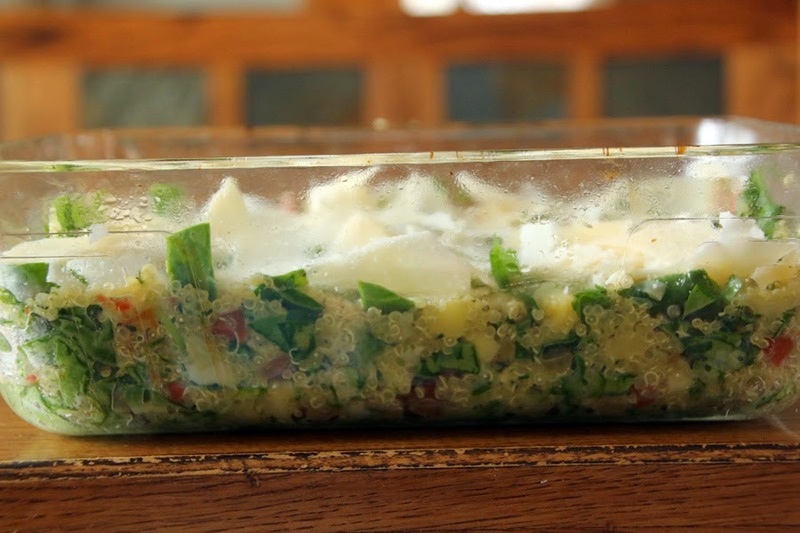 The egg holds the quinoa together so you can actually cut squares of it instead it being another quinoa salad. 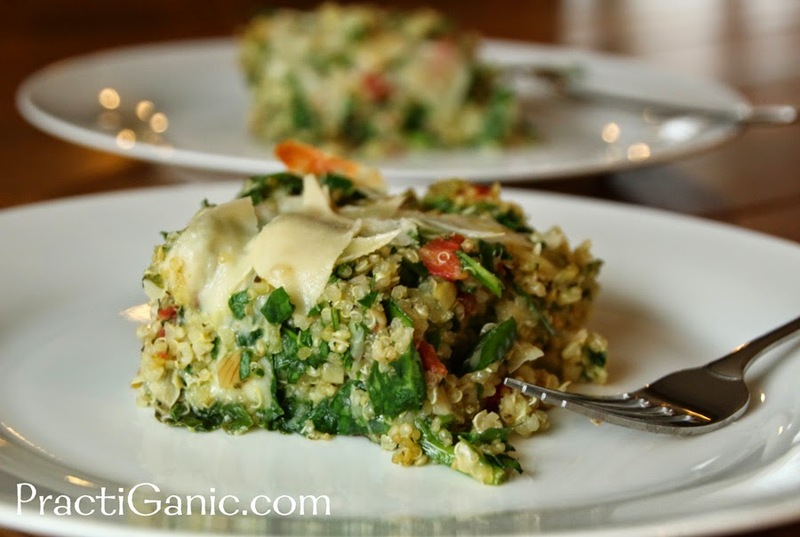 It's a great side dish as well as a meal if you need it to be. Any recipe that is that flexible is a winner in my book! Enjoy. Cook quinoa in water: Bring to boil. Cover and turn to low. Once quinoa has soaked up all the water ... it's done! In a bowl, combine all ingredients except for the parmesan cheese. The hot quinoa should wilt the spinach just enough. Spray a 9x7 casserole dish. Put mixture in dish and top with parmesan cheese. Bake at 375 for 20-25 minutes.